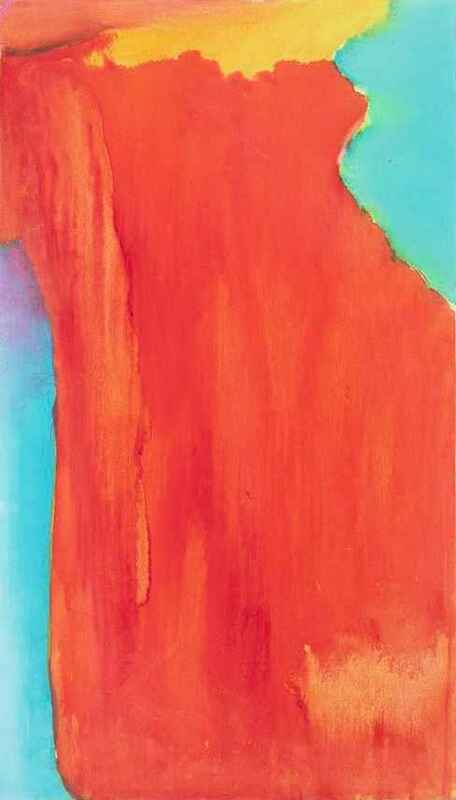 Her place secure in art history, Mason has enjoyed a long and distinguished career at the heart of the evolution of American abstract painting. Her oil on canvas paintings are distinguished by a sense of intriguing intimacy combined with uncompromising, though gentle, intensity. They evince a sense of structure within open, luminous space and juxtapose robust color harmonies with vivid contrasts that create an engaging optical vibration. Born and raised in New York City, Mason graduated from New York City’s High School of Music and Art and then studied at Bennington College before attending and graduating from the Cooper Union. She spent 1956-58 in Italy on a Fullbright grant for painting and for part of that time studied at the Accademia delle Belle Arti in Venice. During Mason’s two-year stay in Italy she married the painter Wolf Kahn, whom she had met earlier in New York. Mason and Kahn’s daughter, Cecily Kahn, is also an abstract painter, as was Emily Mason’s mother, Alice Trumbull Mason, a founding member of the American Abstract Artists group in New York. Mason has had numerous exhibitions of her work since her first one-person exhibition at the Area Gallery in New York City in 1960. In 1979 she was awarded the Ranger Fund Purchase Prize by the National Academy. She has taught painting at Hunter College for more than 25 years, and her work is included in numerous public and private collections. Emily Mason: The Fifth Element, a comprehensive treatment of her work by Art in America associate managing editor David Ebony, was published in 2006 by George Braziller publishers. Directed by Rafael Salazar Moreno; produced by RAVA Films.